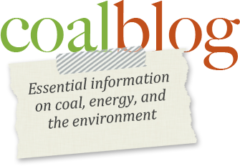 Coal is currently responsible for 313,000 megawatts of electric generation capacity in the United States and is mined in 25 state, providing more than 760,000 good-paying jobs, and according to projections for the Energy Information Administration (EIA), coal will still represent at least 32% of electric generation in 2040. Coal will therefore continue to play a critical role in every part of the country by delivering reliable, affordable electricity to families and businesses. They also discussed how American utilities have already reduced CO2 emissions from coal-fueled generation plants by 23% from 2005 levels and are expected to reduce those emissions by a further 15% over the next 6 years. They note how new (tested and commercially available) technologies such as ultra-supercritical are “highly-efficient” and could reduce emissions even further. However, this administration’s proposed GHG rule will put a stop to the use and development of these new technologies as it stops research and innovation. These seven Democratic Senators clearly ‘get it.’ They recognize and support the fact that it is possible to have environmentally sound AND affordable energy. They further realize that affordable, reliable/secure energy is the lifeblood of the American economy and that coal is a key domestic resource for that energy. One hopes that this administration will join the growing chorus of Democratic Senators, House Representatives, and other elected officials who are stepping out to support coal as an essential American energy resource. After all, it’s about time for this administration to join the rest of us as we work to seriously plan for this country’s future. Click here to read the full Donnelly – Heitkamp letter.